Other enterprises were more profitable. 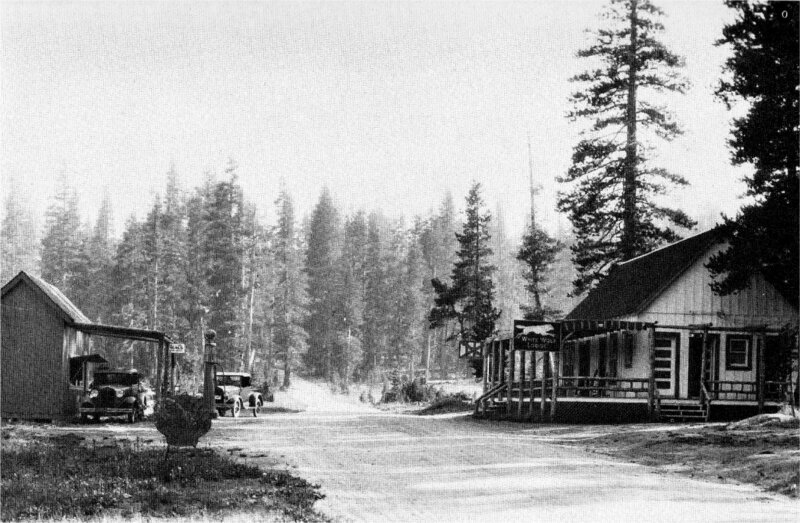 Since the early 1880’s H. R. Crocker had operated “Crocker’s Sierra Resort” stage stop on the Big Oak Flat Road, just west of the present park boundary. 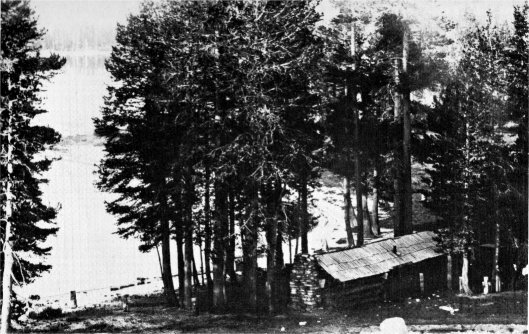 Mr. Crocker and his young wife with the help of ex-sea captain Allan S. Crocker, provided excellent board, clean rooms and diverse entertainments to Chinese Camp and Yosemite Stage Company passengers, private travellers, campers, and even Indians from a nearby Miwok Rancheria. on the Tioga Road. In 1931 the Aspen Valley Lodge complex included the lodge, a rooming house, store, gasoline station, auto repair garage, laundry, restaurant and the old two story log homestead cabin in use as a storehouse. (35) A park entrance station and ranger station were located nearby. With realignment of the Tioga Road in 1937, profits dropped and closure of the facilities was assured when public use of the old road was discontinued in World War II. 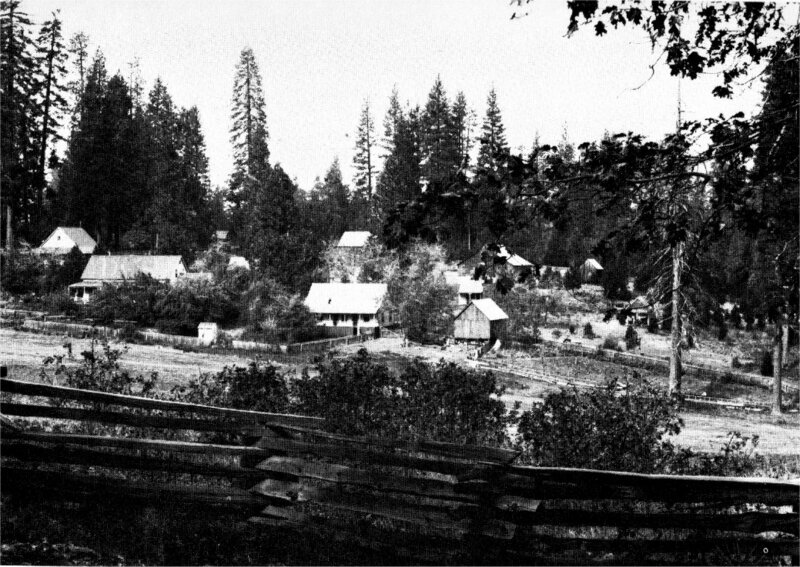 Private summer homes and a logging operation existed into the 1950’s. Most of the land eventually became acquired for park purposes: the homestead cabin was moved to the Pioneer History Center at Wawona. Next stop on the line for the eastbound visitor was White Wolf, named by a sheepherder who saw a white wolf there. Settlement at White Wolf probably began with crude shelters for the Meyer boys and their ranch hands. Little is known of early developments, but in 1930 it was reported, “Mrs. Meyer is in charge of a believed-to-be well-paying resort . . .” Twelve tents, a main building which housed a dining room, kitchen and small store, two tourist cabins, a power plant, and the ubiquitous gasoline station comprised the assessable property. (35) Relocation of the road and the tourist hiatus of the second world war brought the operations at White Wolf to a stand-still. 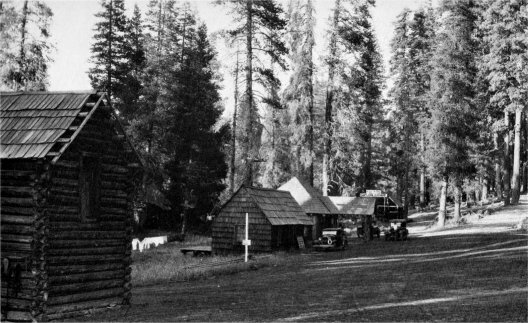 After three years of very indifferent lessee proprietorship, the Yosemite Park and Curry Co., in 1952, with government purchase of the land and facilities, acquired the concession rights, and the following year opened the rejuvenated unit as one of the High Sierra Camps. 1960-1961 saw the improvement, by the National Park Service, of the public campground and access road. Tuolumne River; in 1882 a correspondent for the Bodie Daily Free Press reported, “the lake is swarming with fish, some already two feet in length.” Mr. Murphy was established! The National Park Service operated the campground for three years, then closed it. The Yosemite Natural History Association presently provides information and interpretive services at Parsons Lodge. Tuolumne Meadows Lodge was opened in 1916 by the Desmond Park Company and is currently operated by the Yosemite Park and Curry Co. In addition to the lodge there is now a store, restaurant and service station operated by the concessioner plus National Park Service ranger stations, campgrounds and a small museum. 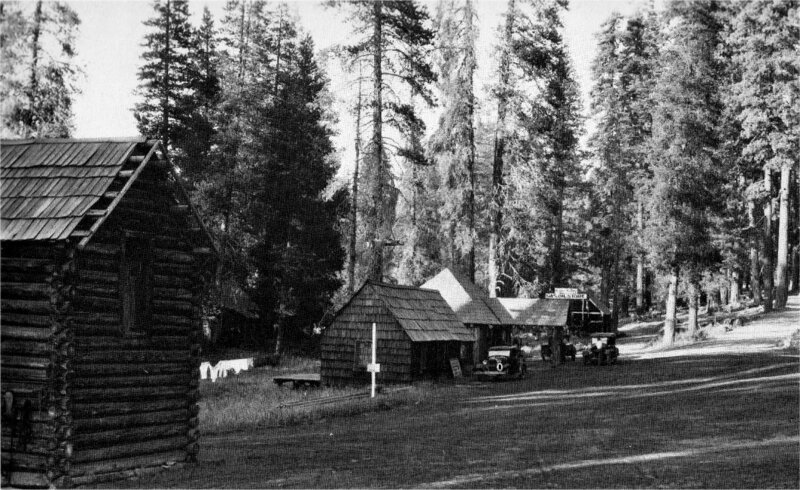 For the first few years of operation of the Tioga Road as a park route, the park entrance station was in the meadows; it has since been moved to Tioga Pass.